With its latest SSDs, Intel is paving the way for fast, standard NVMe connections in storage systems for both more and less adventurous users. Intel is one of the biggest boosters of NVMe (non-volatile memory express), designed as a standard controller technology for PCI-Express interfaces between CPUs and flash storage. It wants to help create a large ecosystem around NVMe and other high-speed storage technologies that could, in turn, help to drive demand for more powerful CPUs. While SSDs (solid-state drives) dramatically boost storage performance over spinning disks, it takes high-speed interfaces like PCIe to make full use of that advantage. At a Thursday event in San Francisco, Intel announced its first NVMe SSDs with dual ports for high-availability storage platforms, the kind of systems most enterprises use for critical applications. Dual-port systems use separate networks dedicated to storage and typically are deployed for specific applications, with common uses including critical applications such as online transaction processing. Vendors can use the new Intel SSD DC D3700 and D3600 Series drives in products that use these traditional scale-up architectures but have the high performance of PCIe. The drives are available in capacities ranging from 800GB to 2TB. Until now, Intel's NVMe campaign has been focused on the scale-out designs pioneered by big Web-scale operations that tend to be on the cutting edge of growth. Scale-out systems can be simpler and easier to expand than the older scale-up designs. More than a year ago, Intel introduced an NVMe SSD for data caches in scale-out systems. Cache is the logical place in a storage platform to start with NVMe because servers need to get to that data most quickly. Now Intel has announced the SSD DC P3520 and P3320 Series, designed for the ordinary data tier behind the cache. There, capacity and cost are bigger considerations. The P3320 and P3520 also are the first SSDs built with Intel's 3D NAND media, which packs more data into the same amount of space than its earlier forms of flash. In addition to efficiency, 3D NAND delivers higher performance for jobs like crunching the numbers in that storage. The added speed of the 3D NAND drives can speed up data analytics by more than three times, in the case of the P3320, Intel says. Intel CPUs have been common in storage for years, and now the chipmaker sees a chance to be the driving force behind new technologies that so far have been promoted mostly by smaller, younger vendors, said James Myers, director of NVM Solutions Architecture at Intel. For one thing, the company is pushing NVMe as an alternative to vendor-specific drivers for PCIe interfaces. 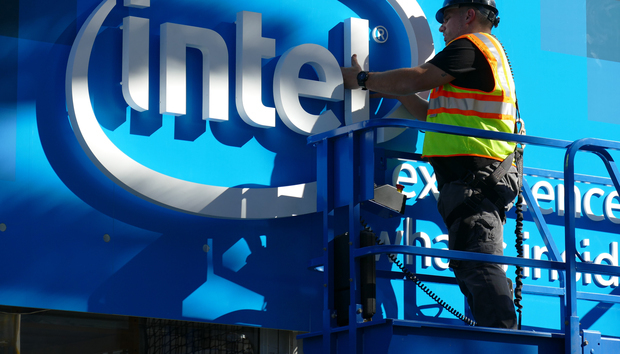 In another move to build up an ecosystem around new technologies, Intel has formed the Storage Builders program, patterned after the Network Builders community that it created several years ago in the communications market. Thursday's event included the first Storage Builders meeting. The program is designed to facilitate sharing of technology like NVMe so more storage products can work with each other. End customers value that interoperability, especially in the Web-scale world, where the big players refuse to be locked into a specific vendor's technology, Myers said.